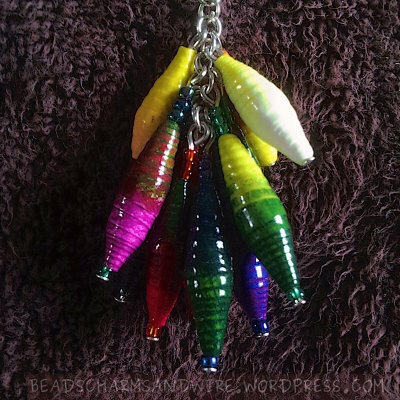 Hopping through my favorite knitting blogs — and even on new ones that I’d discover — I’d come across occasional mentions of bead-based stitch markers, with pictures of the cute ornaments. Seeing that I love both yarn and beads, I don’t know why it took me so long to make some of my own. Maybe it’s the fact that they’re not removable? But I’ve even used rings made of scrap yarn for marking, so that’s not it. Well, whatever the reason, it doesn’t matter now because I made a few stitch markers! 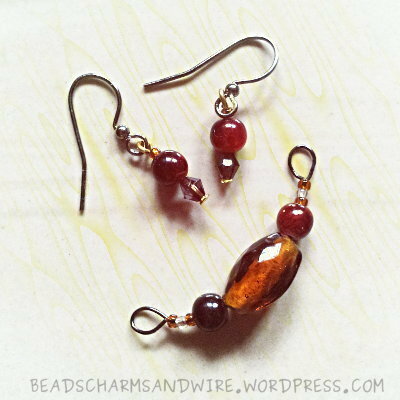 These are real simple ones that just involve stringing combinations of glass beads and seed beads through head pins, making an eye loop and adding a jump ring. That’s all a stitch marker needs, right? Here‘s one of them doing its thing with a shawl that I knit for my mom. I don’t know if I’ll make more anytime soon, but I saw quite a collection of markers in a blog post by Bethany (Orange Swan), and most of these markers don’t have a jump ring in them, so I’m gonna try my hand at least a few. 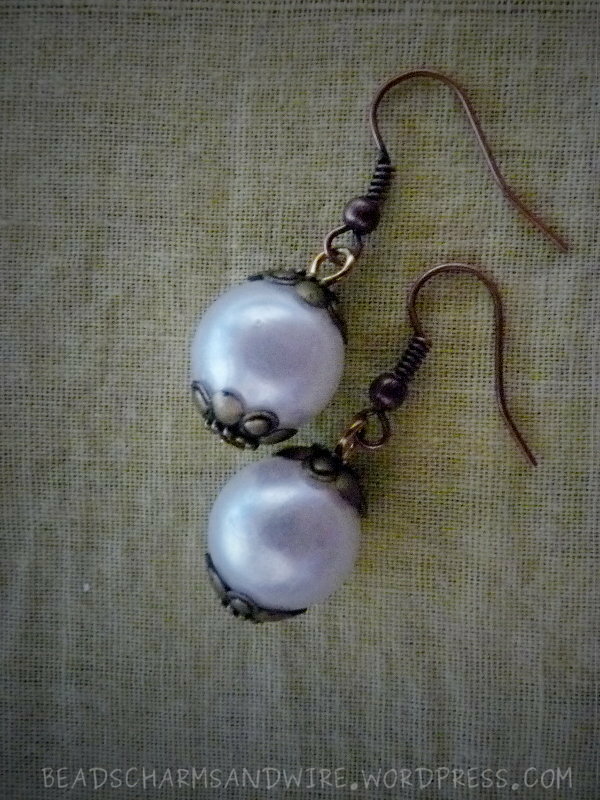 I used large pearl beads (about 1.5cm in diameter), bead caps, head pins and jump rings for these pieces. 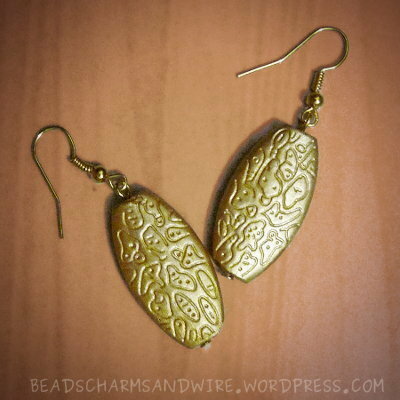 And of course, earring findings for the dangles. 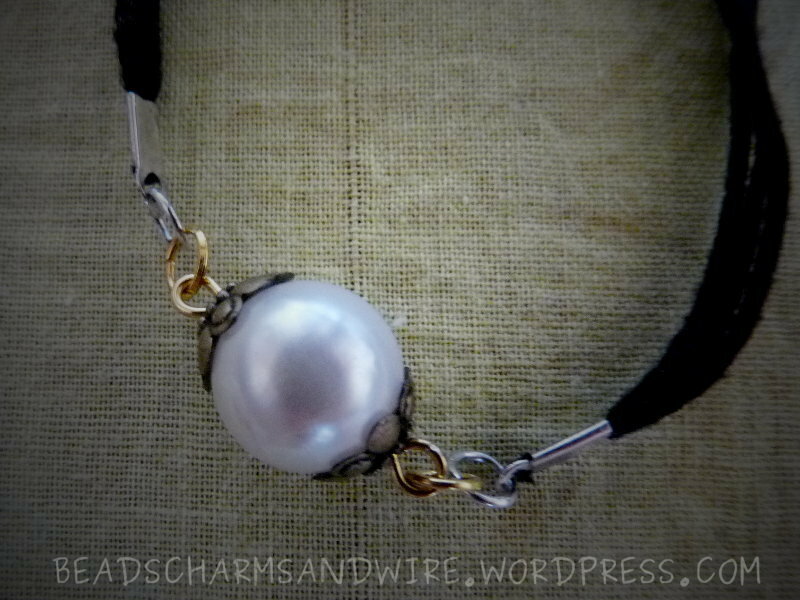 I only had to string the pearl beads and the bead caps on the head pins, and make eye loops from the wire, so the set came out pretty quickly. 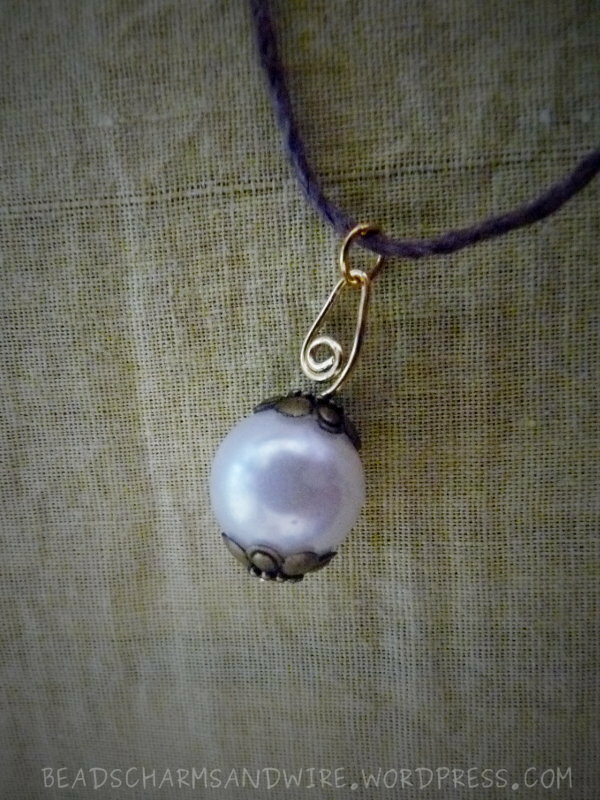 I think the longest time amongst them all was for shaping the wire for the pendant hook. (Man are those head pins hard…) I then decided to add a jump ring to it so it’s not really a hook now, it’s a decorative addition. I’m glad I chose these bead caps — they make the pieces look somewhat traditional, don’t they?